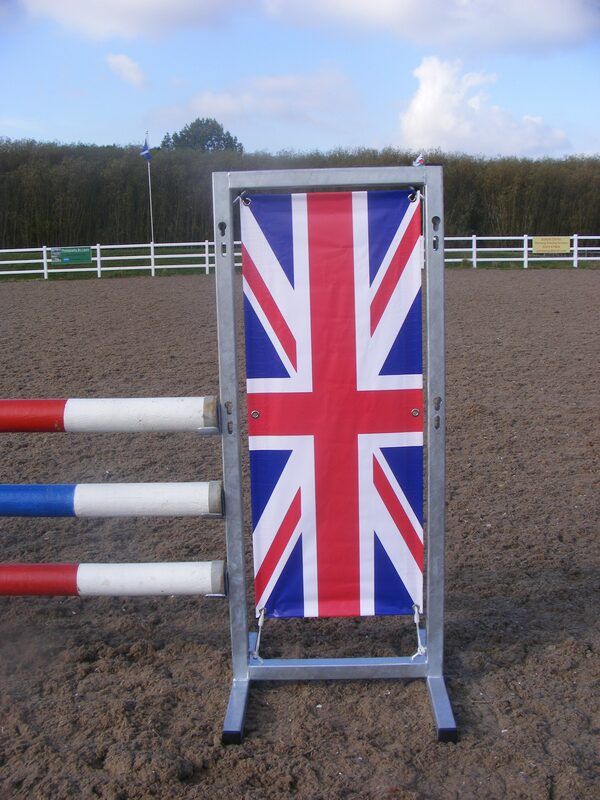 Our training stands and jumps wings are hugely popular for both training purposes and competitions. 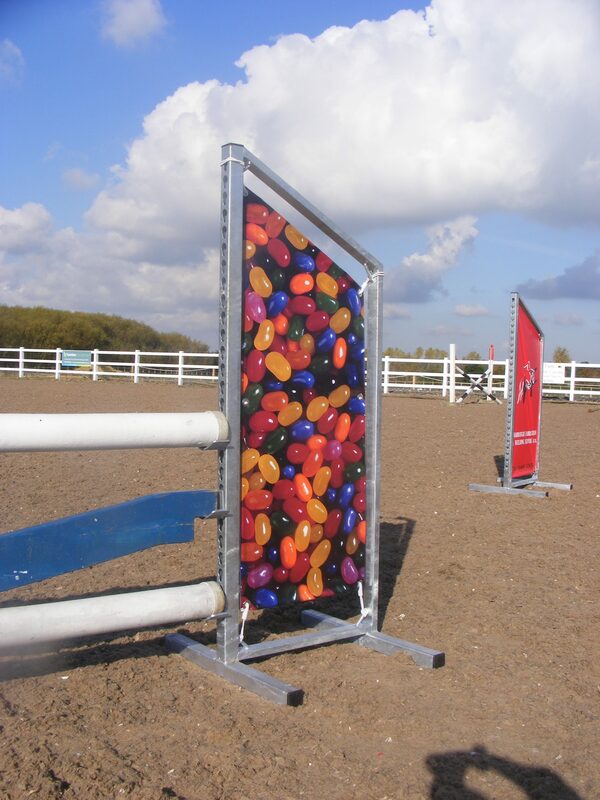 Unlike wooden jumps there is no maintenance required, no storing away for the winter and no painting or treating. 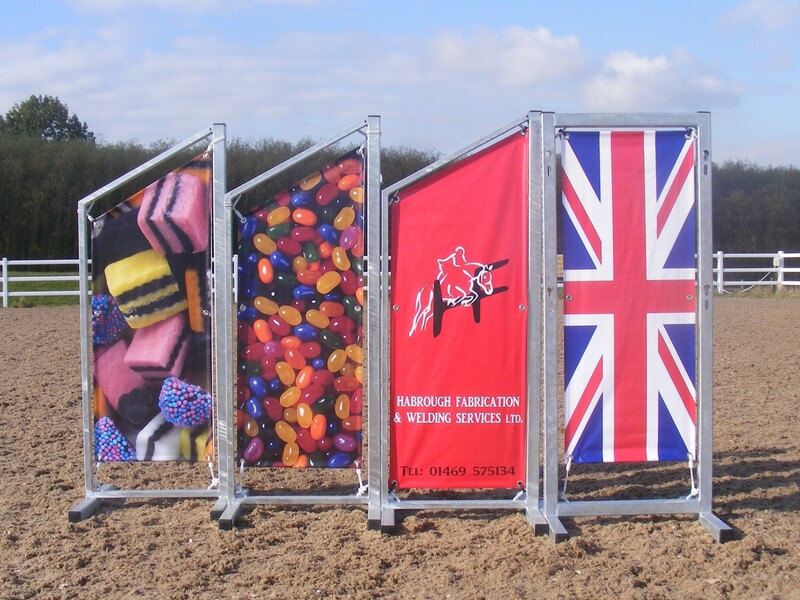 All of our products are manufactured in Lincolnshire and are already in use at local equestrian centres. Our rectangular and triangle wings both have the option to include a banner – this can be one of our standard designs or personalised for you – perhaps to use as a promotional item or just for fun.